Crisler Arena, home to the Michigan Wolvervines basketball teams, stands as a tribute to the great Herbert O. "Fritz" Crisler, Michigan's third all-time winning football coach. Crisler served 10 years as Michigan's football coach (1938 - 1947) and 27 years as athletic director (1941 - 1968). 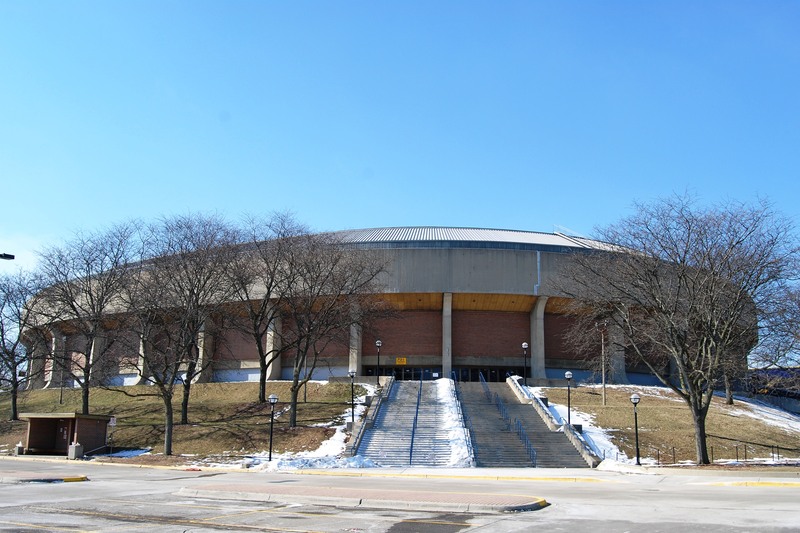 The arena was designed by Dan Dworksky, who played under coach Crisler as a defensive linebacker and was also part of the Michigan football team, the "Mad Magicians", who brought home the National College Football Championship in 1947. While serving as a site of Big Ten Conference championship events, Crisler has also played host to the likes of Pearl Jam, Bill Cosby, the Grateful Dead, and even Elvis Presley during his final concert tour.